Leader of the opposition, Dr. Denzil Douglas is claiming that Range development has pulled out the Six Senses Resort project which was planned for the La Valle area in Sandy Point. Prime Minister Dr. Timothy Harris signed agreements with officials of Range Developments in March 2018 for the developers to build a five-start Six Senses Resort with 70 villas at La Valle, which would provide over 300 jobs for locals. The luxury hotel was scheduled to open in 2021. 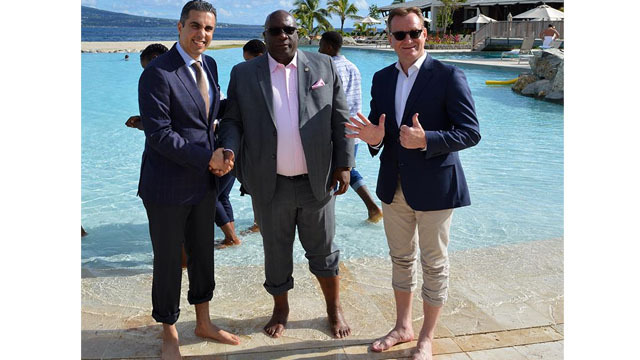 The investors were offering citizenship opportunities through shares in the resort of US 220,000, through the St. Kitts and Nevis citizenship by investment program. Against the backdrop of no sign of construction at La Valle since the announcement and the March 2019 announcement by Range Development that it has agreed with the government of Grenada to develop a Six Sense Resort on that island, Dr. Douglas is accusing the government, especially the MP for that area, Deputy Prime Minister Shawn Richards of deceiving the people about the project. “A matter that has raised its head is the deception that has been practices by this government especially the honorable Shawn Richards of Sandy Point, who has on very many numerous occasions lied to the people of St. Kitts and Nevis and Sandy Point saying that the Douglas administration had sold the land in La Valle and other areas in Sandy Point to foreign people…Nothing of that kind has taken place by this administration. None of the land was sold to any foreigner as far as I am aware when I was there. It is only after that government of today got into office that they sold over 30 acres of the 500 acres of land which we left there for the people, to a developer who they said was going to build a Six Senses Resort on that piece of land in La Valle. “I can say to the people of St. Kitts and Nevis, even though Shawn Richards and the Prime Minister and Lindsay Grant and they seem to be reluctant to inform the people what is the true situation. “I can say categorically that no Six Senses will be built down there in La Valle on that piece of land although the land has been sold to foreign people. In fact, I don’t believe you will ever see any Six Senses built in St. Kitts and Nevis except the Labour Administration gets back into office. This government does not know what it is doing. 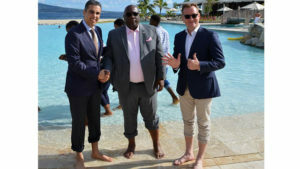 Freedom FM has reached out to Tourism Minister Lindsay Grant for clarification on the project but has received no response. A high placed government source has however hinted that there may be issues on the part of the Developer but would not say if the deal had in fact fallen through.